Hilton will open its first Doubletree hotel in Lisbon this summer. 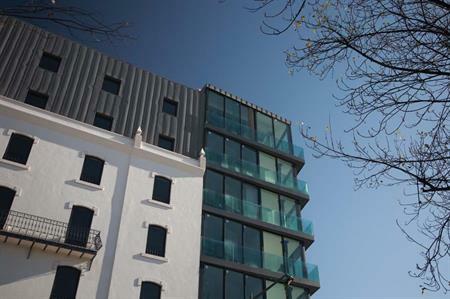 Lisbon’s Fontana Park Hotel will be converted to Doubletree by Hilton Lisbon Fontana Park and will offer 139 rooms, seven meetings rooms, two restaurants and a bar. Fontana Park Hotel first opened in 2008 and became an award-winning hotel for design. The hotel is located 15 minutes from Lisbon Portela Airport, on Rua Engenheiro Vieira da Silva in the northern district of the city centre. Patrick Fitzgibbon, senior vice president of development in Europe and Africa for Hilton Worldwide, said: "This is a major coup. Not only are we bringing one of Europe’s hottest hotel brands to Portugal for the first time, we are doing so in the capital city, while also demonstrating the strength of our portfolio with this becoming our third brand in the country." John Greenleaf, global head, Doubletree by Hilton, said: "Doubletree by Hilton continues its rise as one of Europe’s most popular conversion brands and we are thrilled to be entering one of Europe’s most fascinating and historic capital cities, with what is a stunning property." European countries where Doubletree by Hilton is either trading or has a property under development include the UK, Ireland, Netherlands, Luxembourg, Spain, Portugal, Italy, Greece, Poland, Romania, Slovakia, Turkey, and Russia.